It's been a long time since I've done a review on a foundation. I've had this little one tucked away in my drawer patiently waiting to be used. And only recently I finally got around trying it out. When it first came out I decided to wait a little bit and let the reviews to flow in. But because the reviews were only few and far between I decided to head to the MAC counter and have a look. After testing it out all over my hand the sales girl kindly offered me to test it out - she gave me a little bit of it in a small container. I tried it out for a couple of times and I liked it so much, that I decided to do the splurge and got it. Then came the next and the next foundation and this was just tucked away, waiting for it's moment to shine. And now that time has finally come. So for 33€ you get a little plastic squeezy tube with 25ml of the product. As I'm as pale as a piece of paper (well almost) I got it in the shade NW15. 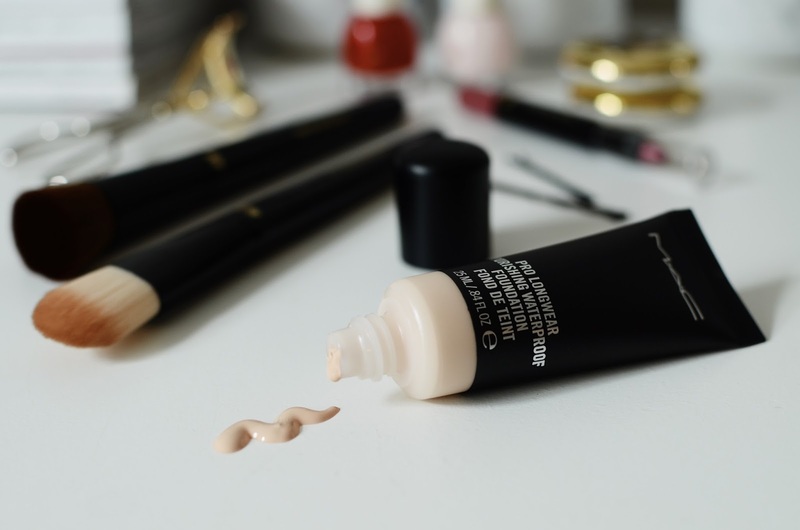 While applying it oxidizes a little bit, so it doesn't end up looking as light as it is when it's straight out of the tube. Now I have to say, this thing is covering! Bye, bye redness, blemishes and scars. But don't worry, it doesn't make you look like you have a mask on. The finish of it is satiny, but not long after applying it gets slightly dewy, so it actually looks quite natural on the face. But it does like to cling to dry patches, so I would recommend to exfoliate and prime before applying it. I've found that I like it best when I've put it on with my fingers or the Real Techniques buffing brush and then blended out even more with the Beauty Blender. And it sure is long lasting. Though I haven't really tested it out for 24 hours straight and I don't think you should be up and around that long with a foundation on your face, 8 hours for it is a piece of cake! Of course my t-zone is the first place where it starts to fade and needs a little touch up, but with a little bit of a powder here and there throughout the day, it's great. I probably won't be using it every day, because it does take for me a little bit more time to apply it (but I have also been using it as a concealer under my regular concealer to get just a little bit more of coverage), but when I will need something long lasting it is definitely going to be the base that I'm going to pick. Have you tried it? 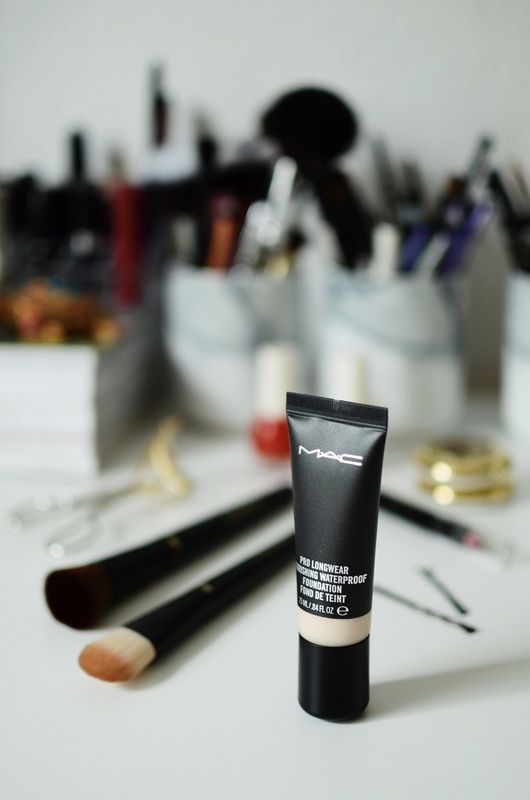 What is your favorite MAC Pro Longwear product? 1 comment on "LONGWEAR FOUNDATION THAT IS MY CUP OF TEA"
Ja Tu saki, ka ir labs, tad noteikti vajag pamēģināt. Īpaši, ja nosedz visu, visu.